Here at Sydney Dental Hospital and Oral Health Services we like to acknowledge the hard work of our staff. If you feel that a staff member goes beyond their usual duties and is worthy of recognition, please take the time to send us an email by clicking here. 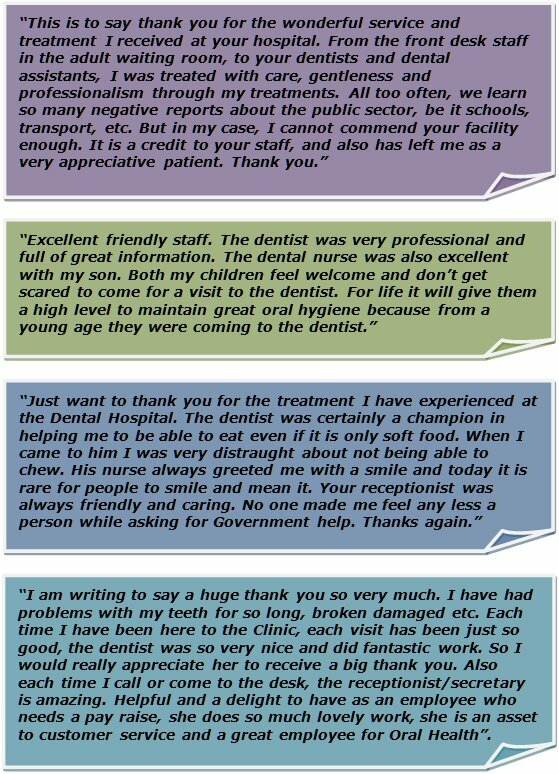 Below are just a few examples of the many compliments received by our staff here at SDH and OHS.